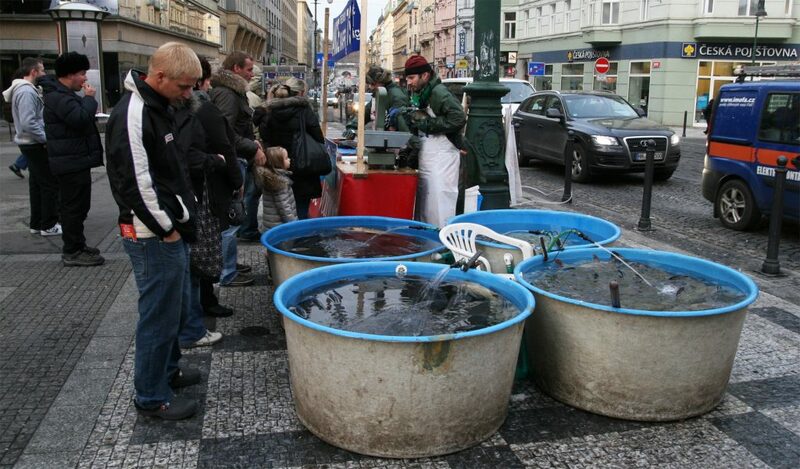 In the days before Christmas, street corners in the Czech Republic are suddenly occupied by temporary Fish shops. They only sell one type of fish – carp. At these shops, that usually consist of a simple preparation table and a few big tubs full of live carps, you can buy your carp “prepared”, or you can buy it alive and store it in your bathtub (and kill it later yourself). Why all that? Carp schnitzels are a part of the most traditional Czech Christmas dinner. 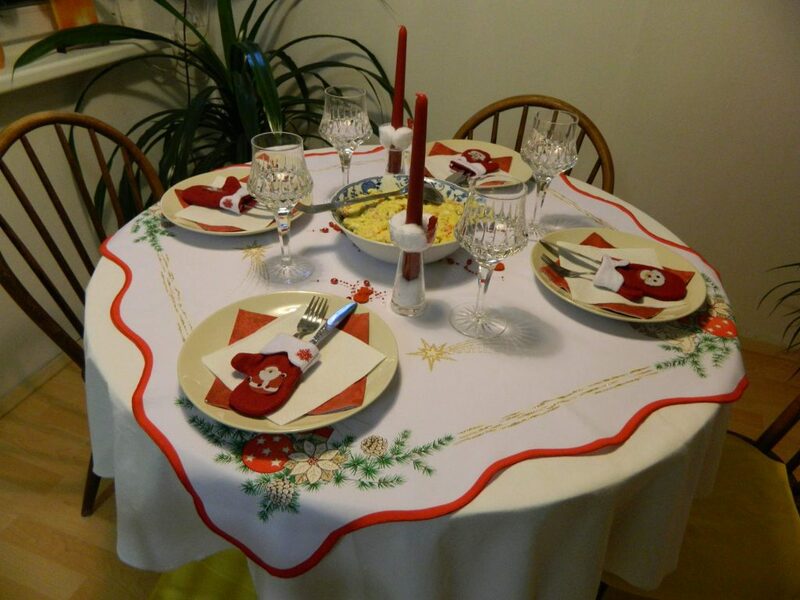 Want to know what wine to pair with this dinner and other Czech Christmas traditions? Here is a little manual. 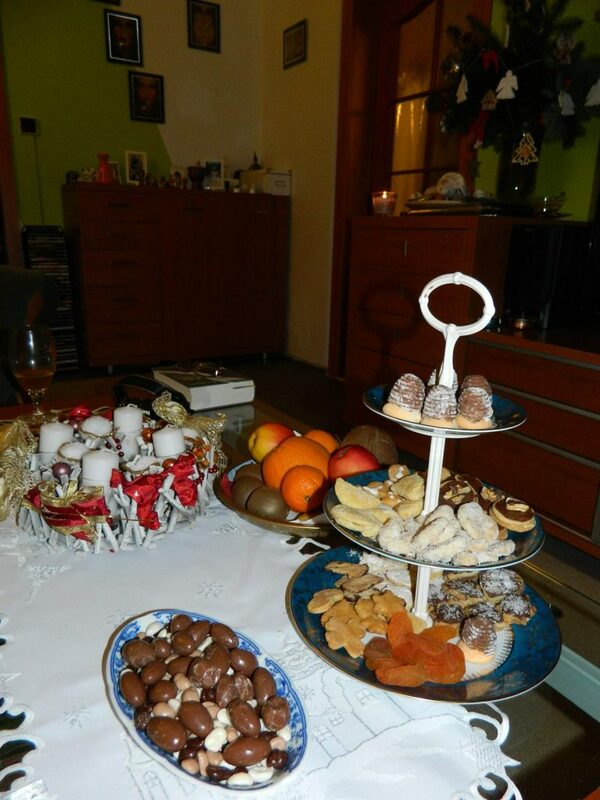 One of the Czech traditions is to fast (or at least to eat very little) during the day leading up to Christmas dinner. It is believed that if you don’t eat the whole day, you might see a golden pig on the wall (yes, because you might hallucinate). Seeing a golden pig will promise wealth and prosperity. While most people won’t really fast, they will not eat a lot during the day, so they will arrive at dinner with an empty stomach. So if you want to welcome your dinner guests with a wine, start with something light! Also, don’t drink too much before your traditional Czech Christmas dinner. Once you sit down for dinner, you’re not allowed to get up until dinner has finished. That means no toilet breaks! As a starter at the dinner on Christmas Eve, a fish soup made with carp is often served. We would pair this with crisp dry wines like a Grüner Veltliner or a Riesling with high acidity, for example the 2015 Veltlínské zelené from Vinařství Líbal. As the main course of a Czech Christmas dinner, carp schnitzels are served together with a potato salad. For this fried fish and a salad with plenty of mayonnaise, we suggest a fuller white wine such as the 2012 Ryzlink Rýnský from Lahofer. If you prefer red wine, you could pick the 2013 Cabernet Moravia from Víno Hruška. 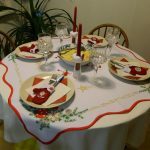 By the way, it is traditional to set the table with an even number of plates, also when you are dining with an uneven number of people. But don’t worry, you don’t have to waste your good wine on the empty chair. Just skip that glass when pouring the wine. A desert is not necessarily a part of a traditional Christmas dinner. However there will be Christmas candy on the table the rest of the evening. 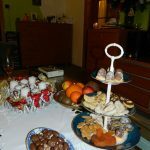 Most people bake their own Christmas candy and in the days around Christmas it is very common to bring your home-made candy to friends and family, this way you end up with a nice selection of different candies. Christmas candy is also a good excuse to open up a great bottle of Czech ice wine, for example a 2005 Tramín Červený from Znovín Znojmo. 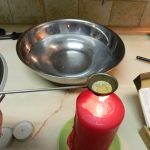 Another tradition on Christmas Eve is to predict your future by pouring lead. 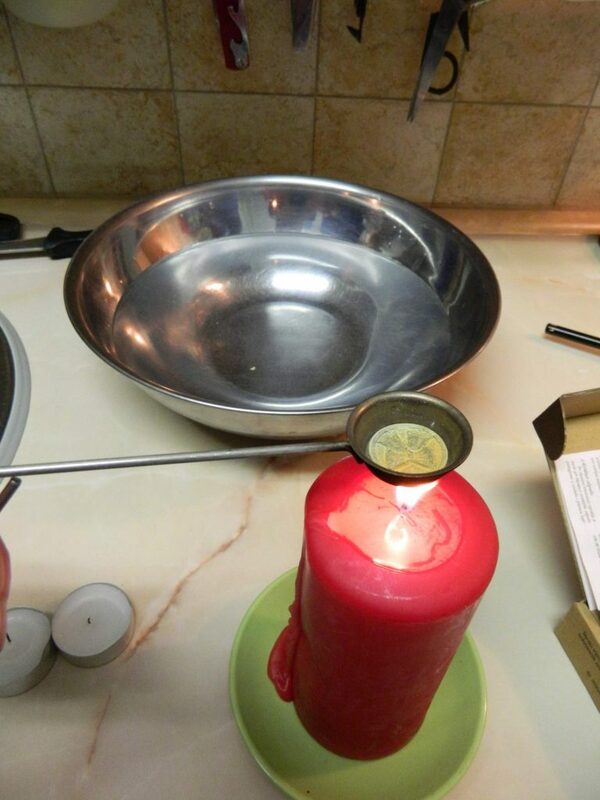 Everyone will heat up a small tablet of lead above a fire. When it melts, you pour the lead in water and use the shape it forms to predict the future. If you want to use this witchcraft as an excuse to serve another interesting wine, try the wines from Vinařství Volařík, they have a strong mineral flavours that would go well with this process. 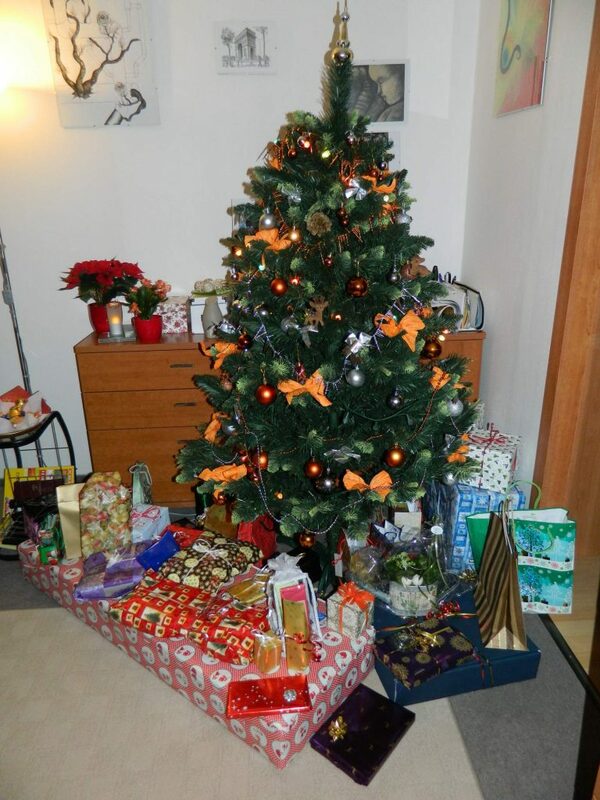 After all of this, it’s time for presents. 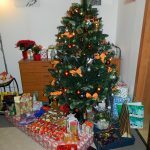 Sit around your Christmas tree and unwrap your Christmas gifts. We prefer to do this with a festive glass of 2012 Merlot from Vinařství Milan Vašíček on the side. Let’s hope some of the presents contain new interesting wines! No matter what wine you will be drinking this Christmas, we wish you happy holidays and a delicious new year!